GENERAL CHARACTERISTICS: They are named for their orange-red caudal fin. The snout is rounded with three pairs of barbels around the mouth. The base body color is light black and little dark spots can be seen on the head. A wide, white band extends from the caudal peduncle to the tip of the snout. The belly is black, as are the fins except the upper tip of the dorsal fin which may be orange to red. DISTRIBUTION/HABITAT: P. hemiliopterus is native to South America: Amazon and Orinoco basins. They are found in large freshwater rivers, streams and lakes. REPRODUCTION: They exhibit external fertilization and do not guard the eggs. LONGEVITY: Approximately 20 to 30 years. CONSERVATION: IUCN Red list and CITES: Not Evaluated. REMARKS: P. hemiliopterus has been introduced, but is not established in Florida, perhaps a good thing as the redtail is a voracious predator on smaller fishes. Because of its size it is a popular game fish. Unfortunately, the Steinhart inhabitants of our open-topped tank have swallowed shoes, cameras, sunglasses, a plastic dinosaur and cell phones, occurrences that have occasionally required manual (and extremely careful) extraction by a biologist or the veterinarian. 2-12-18 Ripsaw Catfish from Ron’s Amazon Flooded Tunnel Series. 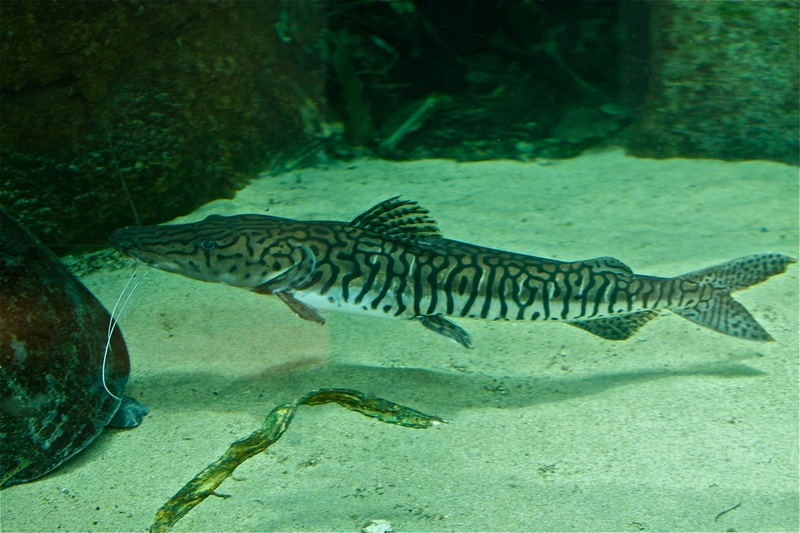 GENERAL CHARACTERISTICS: A stocky brown catfish with three pairs of barbels. Like all members of their family, have bony plates that protect the head and hook-like scutes that run along the lateral line. The Scutes on the O. niger are sharp and can cause significant lacerations. DISTRIBUTION/ HABITAT: South America: Amazon and possibly Orinoco River basins. Occur over mud in streams and lakes. 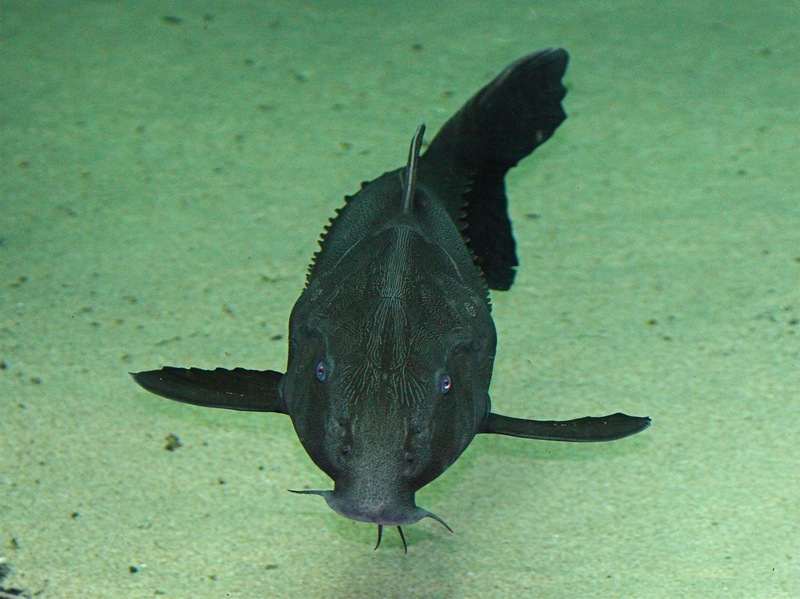 DIET IN THE WILD: The Ripsaw Catfishes large mouth creates a suction to vacuum up detritus, insect larvae, crustaceans, and plant material. When the forest is flooded, they feed exclusively on seeds and fruit. REPRODUCTION: Sexes separate. Fertilization is external. Adults are non-guarders. CONSERVATION: IUCN AND CITES: No special status. 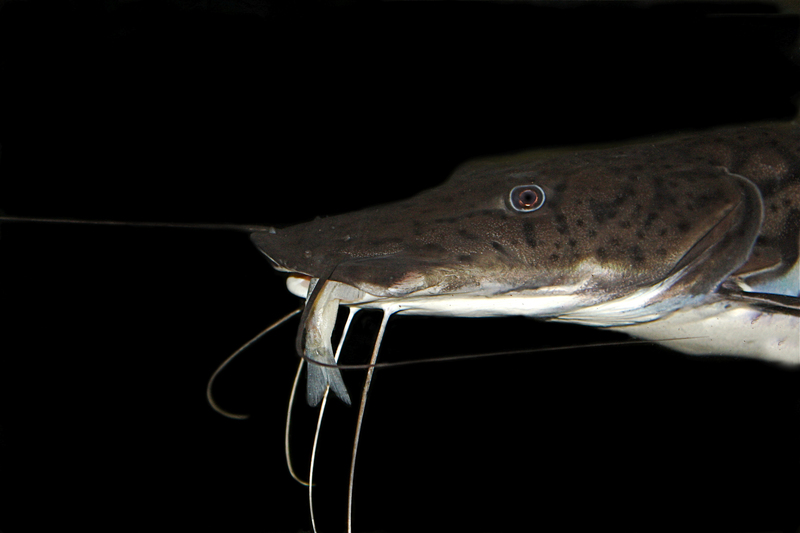 REMARKS: Members of the family Doradidae are known as “talking catfishes” as they make a strange, creaking noise when removed from the water., a sound produced by movement of the pectoral spine within its socket and amplified by the swim bladder.